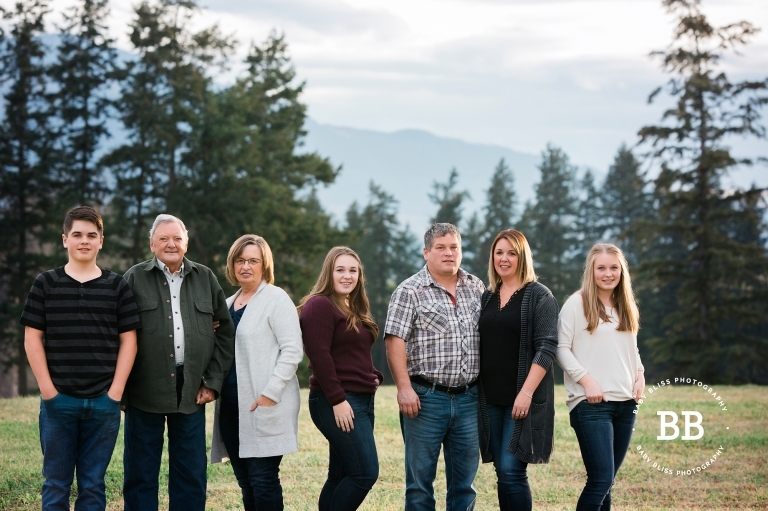 As a Vernon Photographer I absolutely adore capturing families in their own back yard and showing off a bit of the landscape that is a part of their lives. I have known the mom, Kim for many years as she has been my book keeper for both Wedded Bliss Photography and Baby Bliss Photography. I know very quickly when I launched Wedded Bliss over 12 years ago that I would need a book keeper and I found Kim. I am SO glad I did. I would be lost with her! 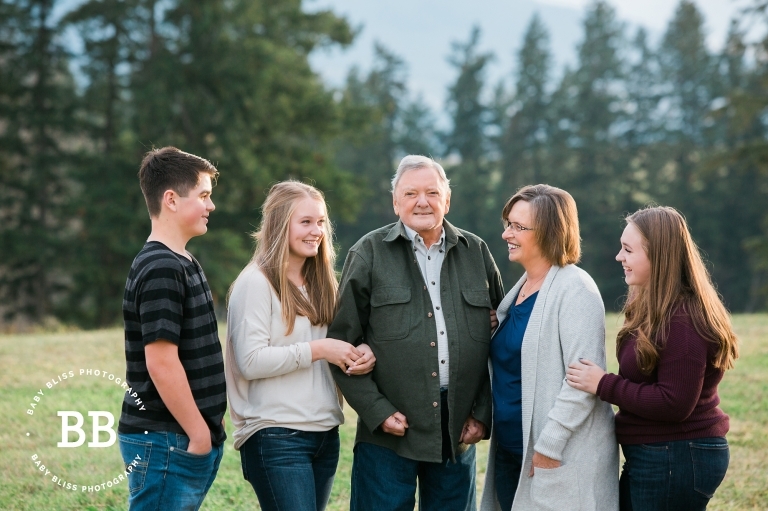 Over the years we have talked about doing some family portraits and although the kids came and visited Santa, I never had Kim and her husband Dwayne in front of my camera. Kim and Dwayne own a dairy farm in Armstrong and Kim’s parents also have a home on their acreage. Kim’s dad Jim had just celebrated his birthday a few days before our portrait session and it was lovely to have him and Joan a part of the session too. I love that they live right next door to their grandchildren. My parents also live next to us and I know how special that type of a relationship is. To live next door to your grandparents makes for such a special bond. It was very evident is the portraits that the kids love their grandparents very much! 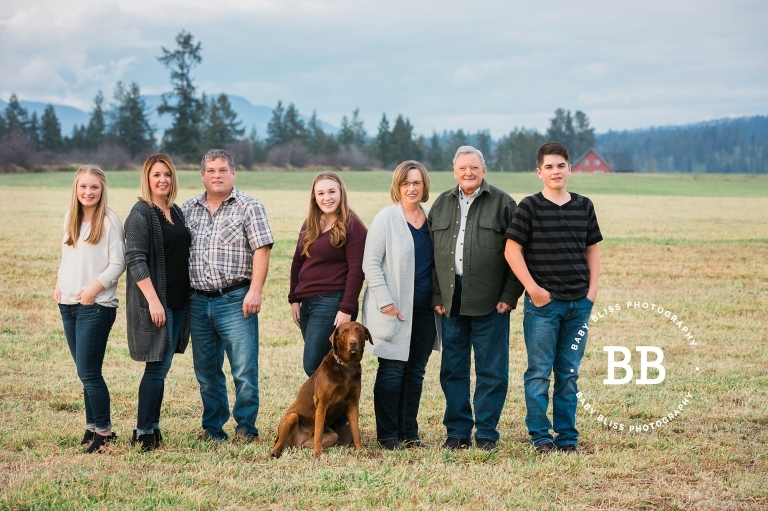 I also loved using the barn for one special portrait (Kim and Dwayne had a similar portrait done many years ago when the children were small and they were living on the lower mainland) it was awesome to have their beloved cows as a part of the landscape. 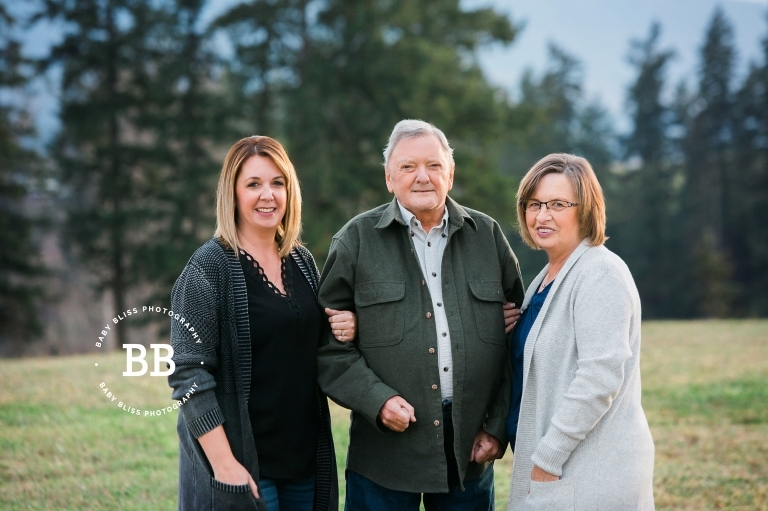 Thanks Dwayne and Kim for inviting me out to the farm to be your Vernon Photographer!